The beginning of the school year is creeping closer, new school shoes are being purchased and people are looking for the best school snacks! As a teacher, you’re getting yourself ready for school and that includes looking for some great posts and back to school inspiration. If you were looking for more links after finishing these fabulous posts, then check out the following! One year, early in my teaching career, I walked into my new classroom only to be confronted by three very large bulletin boards. I had no idea what to do with them! Wow Factor Back to School Bulletin Board Ideas for Teachers from A+ Teaching Resources is a great blog post looking at thoughtful ideas for bulletin boards in the classroom. I love the reminders about learning strategies and how they can be displayed for constant reinforcement. Foundation Into First discusses another problem teachers might face when they set up for school in What’s the Best Seating Arrangement for Your Class? This extensive and thoughtful blog post walks the reader through a range of different seating options, looking at the positives and negatives of each. Do you start off the school year with getting to know you activities? Are you looking for some new activities to revitalise the beginning of the school year? Top Teaching Tasks offers a range of activities in Using Getting to Know You Activities. 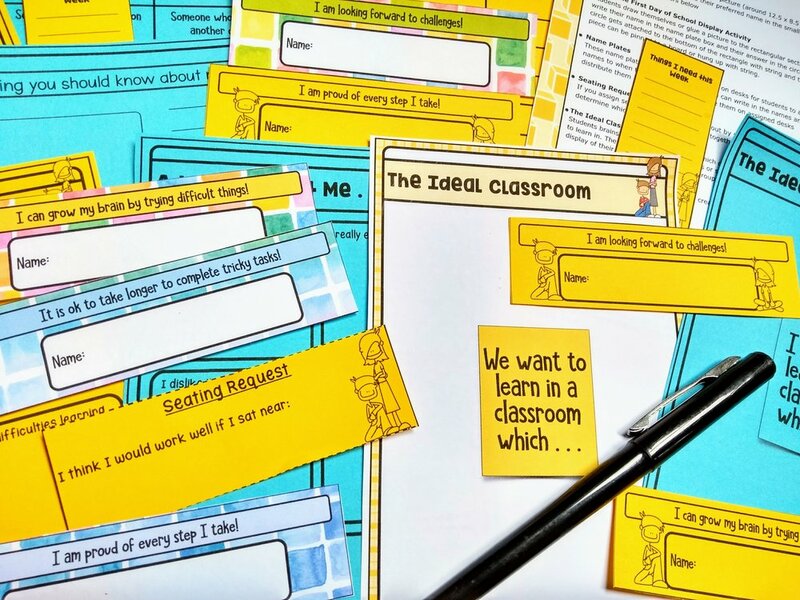 As well as introducing these activities, the post looks at how they can be used to build classroom expectations and to allow time for individual meetings (or testing!) early in the school year. TeachEzy also offers a range of getting to know you activities with 6 Classroom Icebreakers to Start the Year. These ice breakers are immediately usable, but I particularly like the one which stresses all the positive things which will happen throughout the school year. Think Grow Giggle encourages the building of a strong classroom atmosphere in 8 Strategies to Build a Strong Classroom Community. This post explores the long term strategy of building a classroom community, filled with ideas from encouraging active listening to engaging in monthly activities. 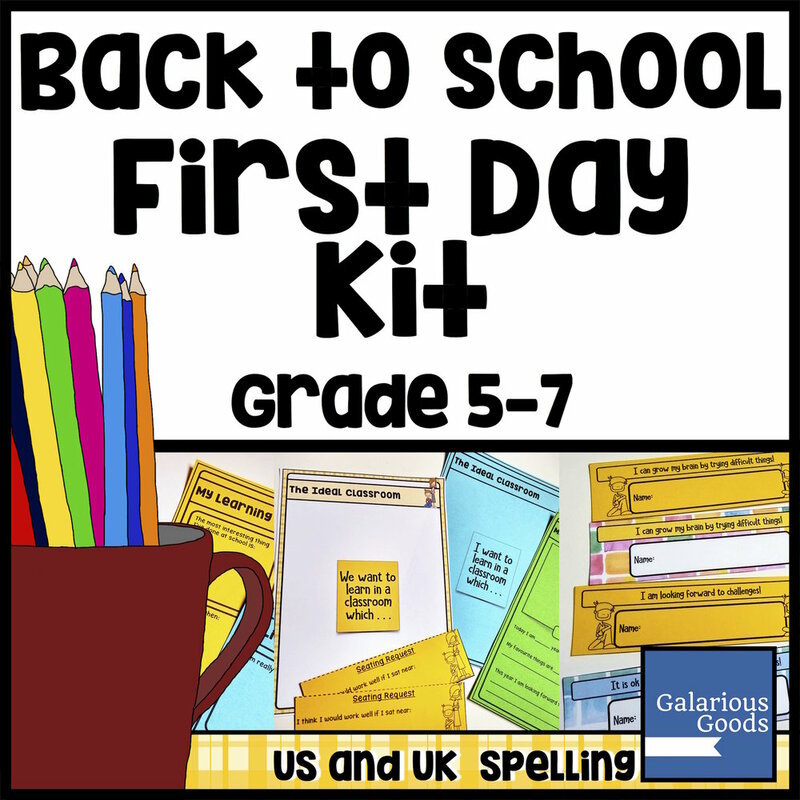 Do you use getting to know you activities on the first day of school? What tips and advice do you have for teachers heading back to school? What is your favourite part of back to school? Don’t forget to leave a comment! The anticipation is rising, back to school sales are in all the stores - it’s definitely time to get ready to head back to the classroom. But between laminating and planning, don’t forget to catch up with some reading! The following blog posts are filled with great back to school tips and ideas for teachers - well worth the reading time! Poet Prints Teaching writes about preparing for back to school in 5 Things to Do Before School Starts, covering everything from school supplies to the first day. I think the really important tip here is deciding what to do with student work - getting that under control from the beginning can make a huge difference in your organisation throughout the year! 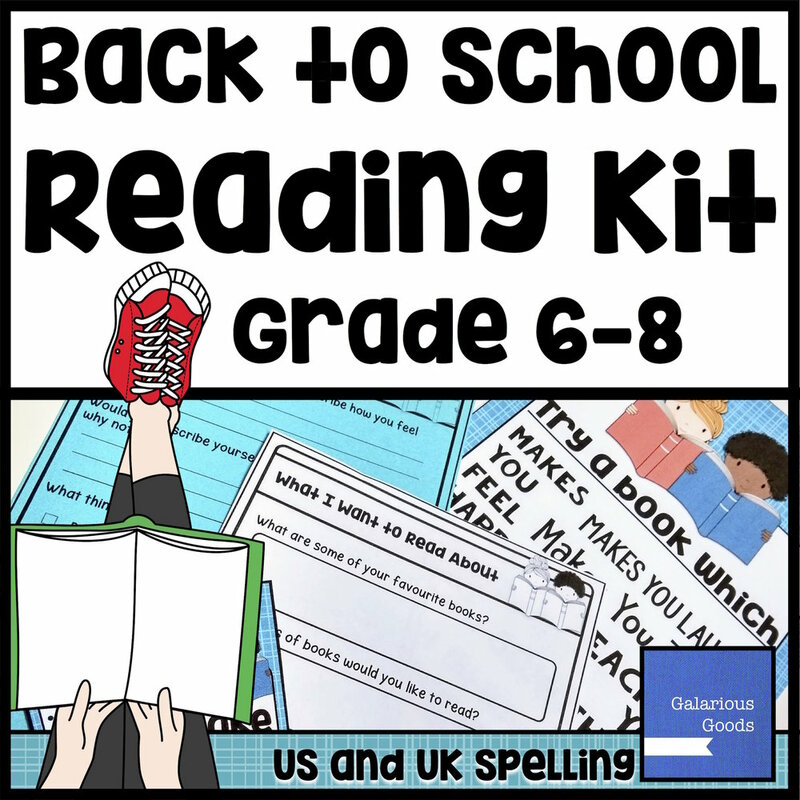 Rainbow Sky Creations also has a list of things: 8 Things I Do to Get Ready for Back to School. There’s so many great tips to follow here, but I particularly like the advice about organising class lists, setting personal goals (so important!) and timetabling in self care. Tech Teacher P-3 tackles getting organised in the post How Organising Your Teacher Desk Can Increase Your Productivity. This is definitely the post I needed back when I started teaching - the mess on my desk was legendary! I really love the idea for storing small bits - it’s always those small things we need the most and find the hardest to find! We all know that reading is important and that having books available for reading helps to promote a reading classroom, but stocking a classroom library can seem absolutely daunting. How to Build Up Your Classroom Library in No Time from Always a Lesson is a fabulous overview at some of the different ways you can find affordable books. There’s a lot of really good ideas to consider when you read Teaching Expectations Vs Rules from Mrs Richardson’s Class. This is a really positive look at developing a strong classroom culture and behaviour management in the beginning of the school year. I really like how this post points out some things to reflect on before school starts as well as the focus on building positive behaviour together. 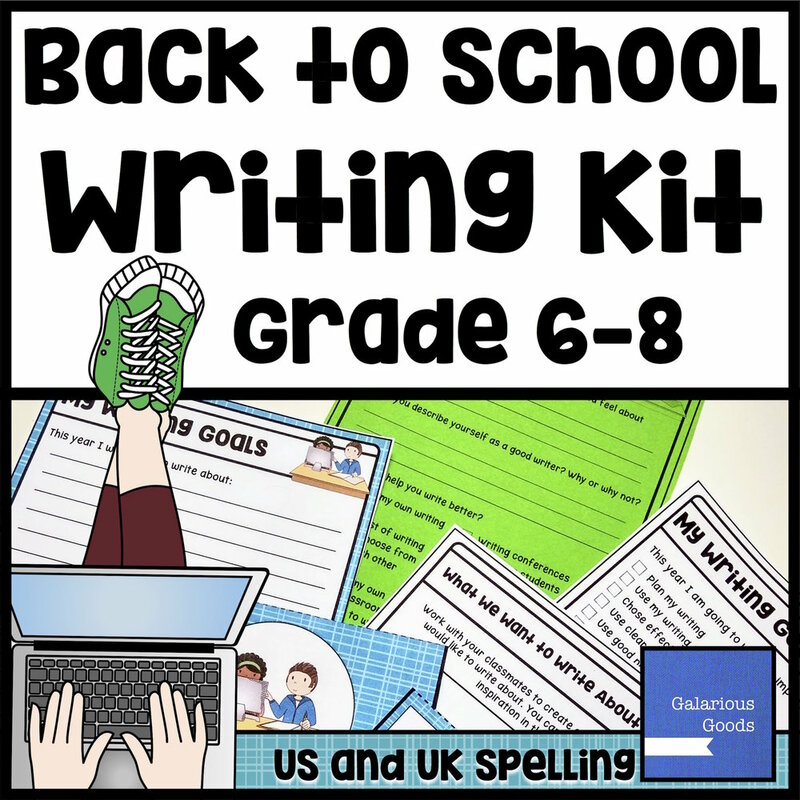 Looking for some great back to school activities for your students to engage with? You can’t go past 7 Brilliant Back to School Stem Activities for Kids from Jewel’s School Gems. 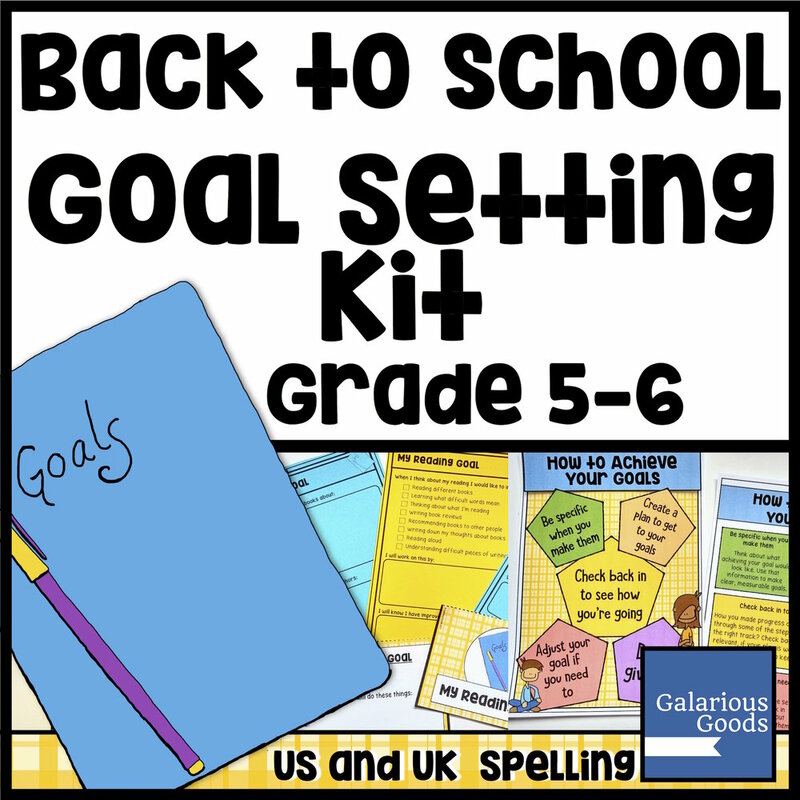 These activities integrate goal setting, team building and all about me activities, making them perfect for the start of the school year. What activities do you explore during the first week of school? What tips and advice do you have for teachers heading back to school? What is your favourite part of back to school? Don’t forget to leave a comment! Being a new teacher is daunting, terrifying, overwhelming - or for some calm souls, just another step into a career they’ve been preparing for. Whether you’re a little anxious about what is about to come or very confident about the adventure ahead of you, the following blog post are filled with all the tips, advice and strategies you could possibly need. Before you start planning for your fabulous first year, you must read How to Mentally Prepare for your First Year Teaching from Adventures of a Schoolmarm. This lengthy and thoughtful post look like it only has a few tips for new teachers, but as you read it you realise that it’s absolutely packed full of wonderful advice. A Letter to a New Grad Teacher from Rainbow Sky Creations is a wonderfully sweet piece of practical advice and reassurance. With ten tips to read through, you’re sure to find something you didn’t know (or something which you’ve already been told, but you’ve totally forgotten). While the laminating, dealing with parents and office ladies advice are all spot on, I really loved the reminder to take time for yourself as a new teacher. Self care is so important for teachers and getting into a good routine with it will definitely help you in the long run. 3. What personal items will you need? 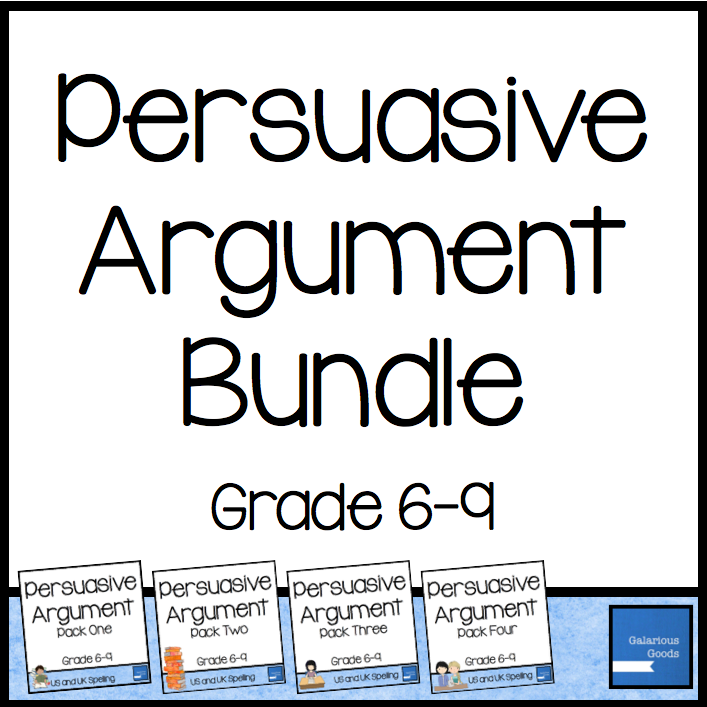 What Teachers Need in their Desks from Language Arts Classroom is such a thoughtful practical post. It looks at some of the items which make teaching a little easier, from food to personal items. I also really like the way that the post considers students and their needs. 4. What do I do on the first day? Sarah from More Than a Worksheet has put together a BRILLIANT post - 14 First Day of School Tips for New Teachers. This is a MUST READ for new teachers who want to be fully prepared for what they’re going to do on that first day when students walk in the door. While this is a post for new teachers, again I think more experienced teachers can get a lot out of it, with lots of ideas on dealing with the chaos of the first day. My favourite tips are the reading aloud and the collecting supplies tips (oh, so many piles of notebooks to sort through!) but there’s definitely much more than that to absorb! Want a bunch of new teacher tips which you can come back to over and over? You can’t miss First Year Teacher Tips from Primary Flourish. The star here is a lovely image filled with tips from a wide range of teachers. Stand out tips for me? Using a song to get the attention of the students and not rushing in the first 6 to 8 weeks. It’s always great to read personal reflections from teachers. 5 Lessons Learned: My First Year of Teaching from Upper Elementary Snapshots is a wonderful reflection on the lessons learned during the first year of teaching. My favourite lesson was the ‘just say no!’ lesson! I wish I’d had someone to say that to me when I started teaching and found myself involved in more than I had time or energy for. These six blog posts are a wonderful place to start for new teachers. Whether you’re confident or nervous, may your first year as a teacher be filled with learning, laughter and growth. I’ve checked the new school bag, bought the new water bottle, browsed Pinterest for lunch box treats. Excitement is at an all time high here because my eldest is about to start school. Despite all my own school experience, I - inevitably - have some worries. And I’m not the only one. Parenting groups I’m part of are filling up with questions and concerns and parenting blogs are publishing posts to help parents with their concerns. So, what are these concerns? And how can teachers address them - and alleviate them? 1. Have I Got Everything Right? Is the uniform right? Have I bought the right shoes? What books do I cover and name and which ones do I leave? When do I send the library bag to school? What time should I arrive for the school assembly? Schools have their own rhythms, routines and systems. So do different teachers and classrooms. Every time a new school year starts, parents and students need to get used to these rhythms and systems and work out how they fit into the rest of life. While teachers often take the time to go through the little details with students, parents are often left asking questions of more experienced parents or making worried posts in Facebook groups. Lots of parents don’t want to add to the stress of teachers and students in the first days of school by getting it wrong. You can help these worries by making your school and your own expectations as clear as possible. If you want all books covered and named, let parents know through a note or an email. Ask your administration team to provide examples of the ‘right’ shoes at orientation sessions or meetings with new parents. Use a calendar to help parents know what’s coming up. These little details can help parents be more prepared, which means students are more likely to arrive on the first day ready to learn. 2. What Should I Talk to the Teacher About and How Should I Do That? Do I let them know we’ve had a bad night’s sleep? Do I let them know that they’re finding the reader way too easy or way too hard? Do I ask them how my child is settling in? Can I get clarification on this homework? Teacher time is valuable time, and it can be hard for parents to know how to navigate that, while sharing information and not being ‘that’ parent. What you want to know or how you’d like to communicate with parents will differ depending on your school, the age of the students and your own preferences. But let the parents know what you’d prefer, whether it’s a short note at the beginning of the day if something at home is likely to impact on the student’s learning, an email to clarify an assignment or a formal meeting set through the school office to discuss greater concerns. You may have a ‘no question is too small’ policy or you might like to produce a ‘frequently asked questions’ handout for parents to address those questions you get year after year. 3. Will My Child Be Recognised in the Classroom? Will they remember to speak up? Will the teacher have time to see them with all the other students and forms and reports and outcomes and curriculum they need to get through? Do I need to tell them about what my child can or can’t do, or will the teacher pick that up themselves? Will the teacher be able to work on their weaker areas? Will the teacher see who they are? Parenting can be worrying, but it can be especially so when we hand our kids over to other people! Parents tend to know so many of their child’s strengths, weaknesses and individual quirks, so it’s easy to worry how a teacher of so many students (with so many other things to do!) will be able to see each student. One way to address these worries is by making individual contact early in the year. It might be a short note about how the student has gone in the first two weeks or a quick chat at the end of the day. It might be a conversation as part of a back to school or meet the teacher night or a quick phone call to talk about something the student has done well and to address any questions. You can also combine these forms of contact with a parent survey - asking parents to talk about their children might help you pick up on things you haven’t picked up on yet. If you’re making phone calls home, you might like to use this free Parent/Carer Phone Call Log - it’s an easy way of seeing which parents you’ve contacted and which ones you need to contact, as well as allowing you to record anything you might need to follow up on. 4. Will My Child Get In Trouble? Will they listen to the teacher? Will they be nice to other children? Will they talk too much in class? Will they behave themselves at assembly? Will they behave themselves when they’re tired? Schools often have really detailed behaviour management plans, but these can be a little overwhelming. Plus they don’t always cover the day to day teaching and management of behaviour which happens in the classroom. Teachers can definitely help break these down and can work with parents as a team on behaviour. If you’re concentrating on a behaviour - raising hand in class or being kind in the playground, for example - you can let parents know. When parents know that’s something to be worked on, they can reinforce the good behaviour at home. You can also let parents know that certain behaviours are normal and even expected at different ages. 5. How Can I Help At Home Without Stepping on the Teacher’s Toes? If I’m reading at home should we talk about the letters and the sounds they make? Should we be doing maths problems or do I leave them for the classroom? I know they’re learning about volcanoes this year, should we do some reading at home first or just wait? Many parents want to support their children when it comes to learning. 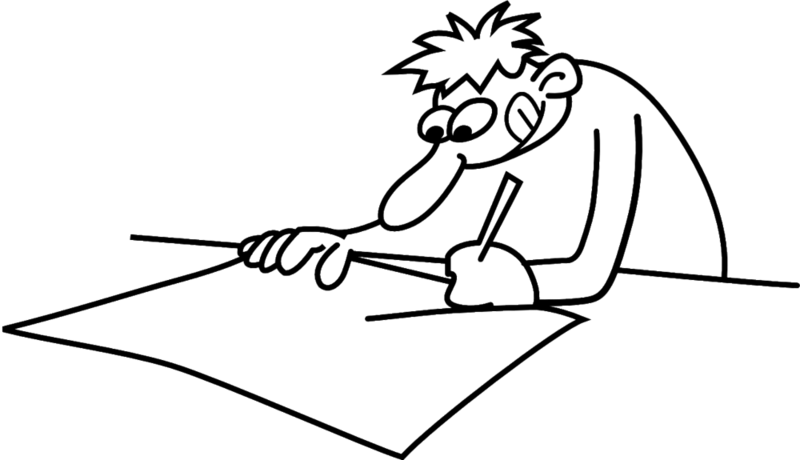 But often they’re not sure how to go about it without getting in the way of the teachers and the work they’re doing. Teachers can help with this worry by having a list of activities parents and students can do at home together. It might be general like reading books, looking at maps of trips, helping with chores around the house, playing with toys which develop fine motor skills, getting out and exercising together or exploring the interests of the child. Or it might be more focused like looking at sight words, practising time tables or maths facts, looking for interesting words when reading and making a personal dictionary, talking about family history. If students need more focused help or are showing particular interest in a subject, it’s worth passing on this information to parents as well so they can expand on that at home. I’ve had several parents ask what tutors (for students at all levels) can do to help. It’s worthwhile to think of the skills which might need reinforcing or extending at different times of the year and to have a list which can be used by the student and the tutor. You might also like to think of ‘sideways’ activities which the students can engage in. If a student really likes a book you’re reading in class, you might like to suggest that they research what other books are available on a similar topic or by the same author. If you’re learning about Ancient Egypt, they might like to read about other ancient civilisations. A student who is really into mathematics might like to brainstorm places they find or use a maths concept in the ‘real world’. There are lots of ways parents can help with learning outside of the classroom and it’s worth the time to offer some suggestions to engage the whole family in the learning of the student. Have you found some effective ways to alleviate the worries of parents at the beginning of the school year? Share them in a comment!